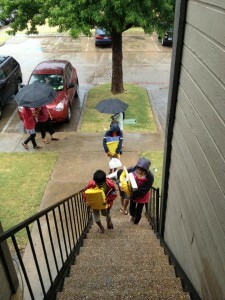 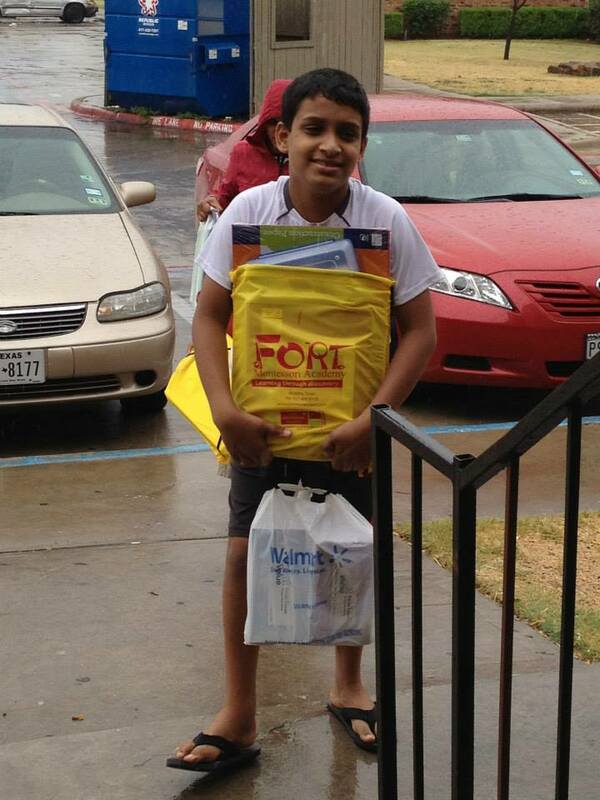 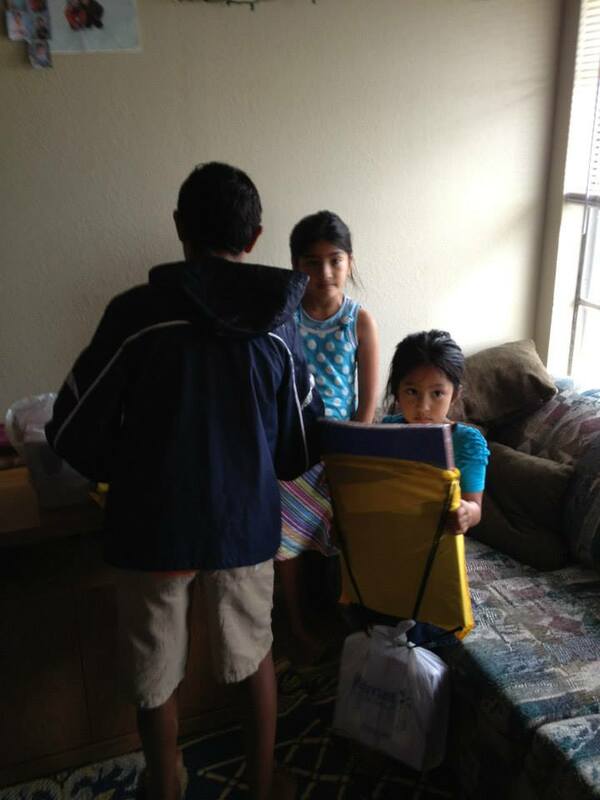 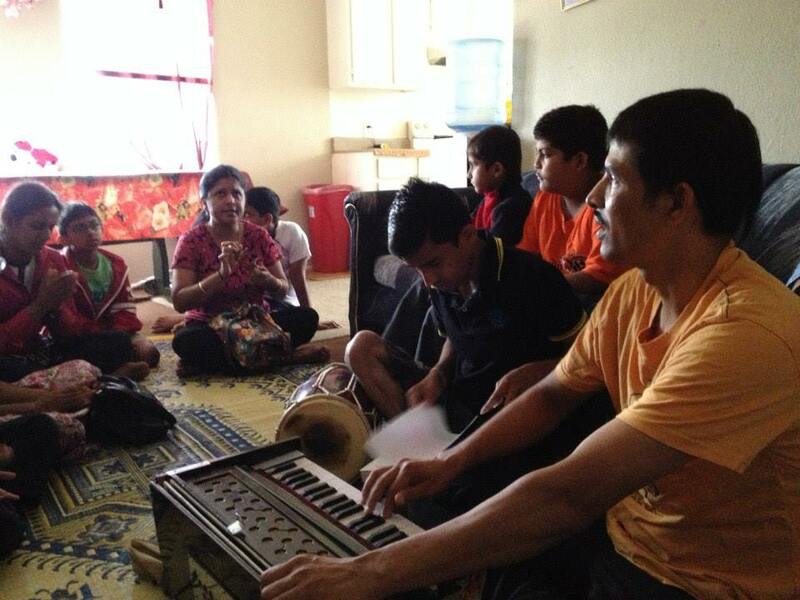 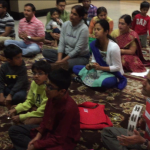 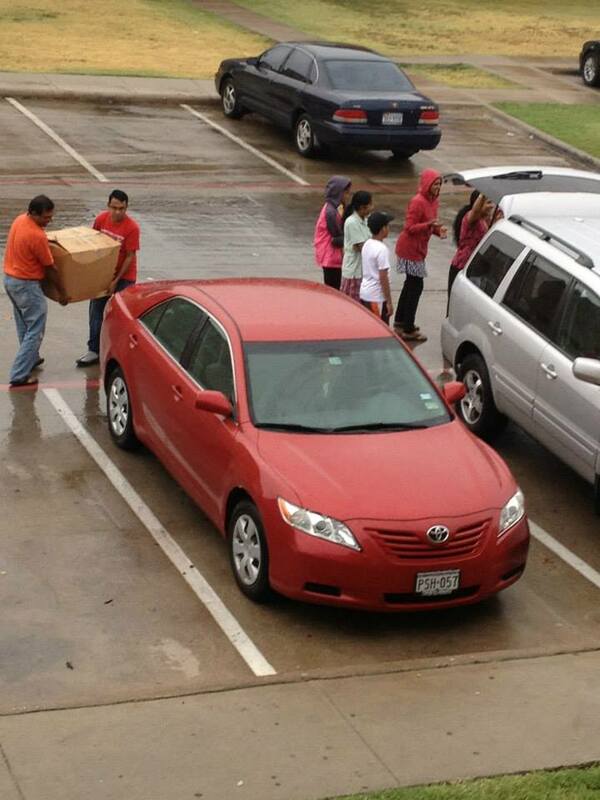 By the grace of Sri Swamiji, Dallas GOD Chapter had the opportunity to serve the Bhutanese Refugees at their residential complex in Fortworth, TX on Saturday, August 10th 2013 . It was under overcast conditions that a few GOD families embarked on yet another day of service. 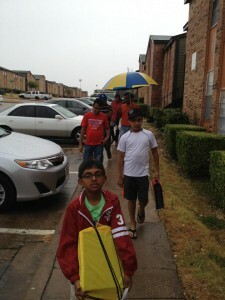 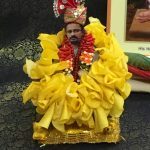 Upon reaching Fortworth, the clouds gave way to a constant drizzle, signaling the continuous grace of Sri Swamiji. 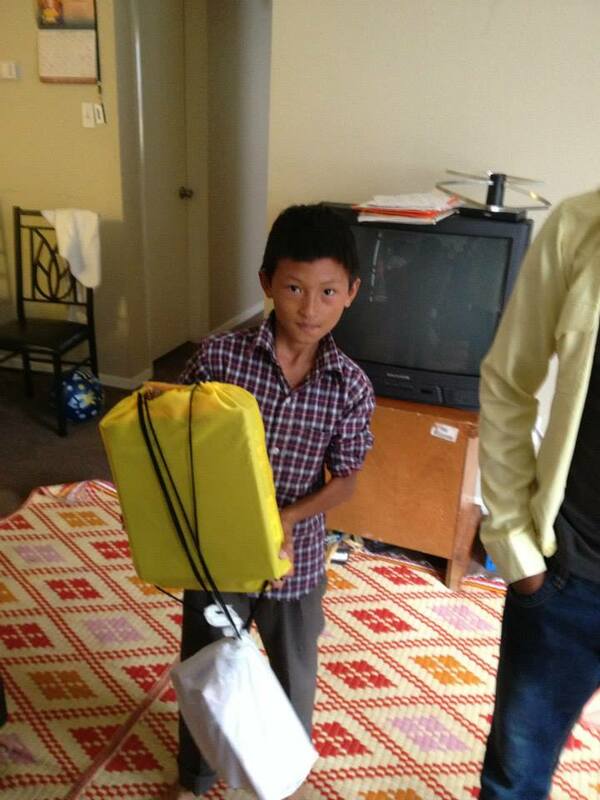 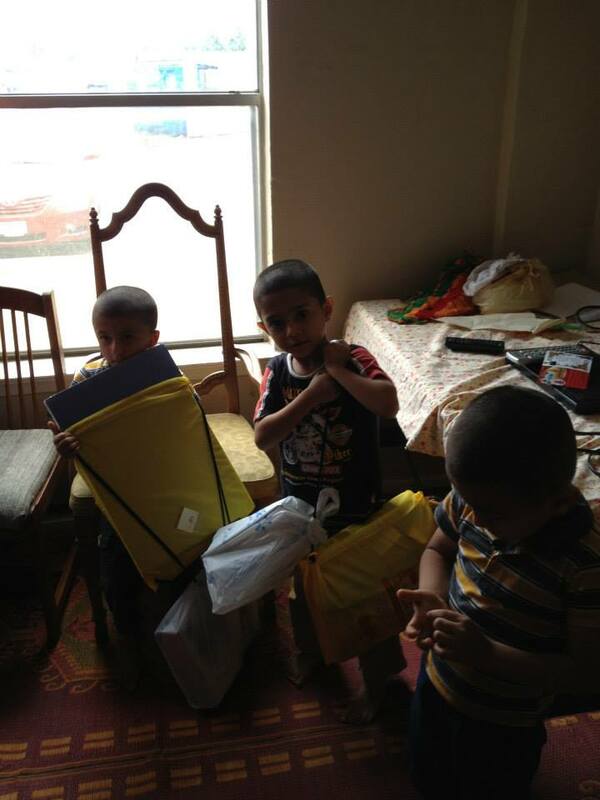 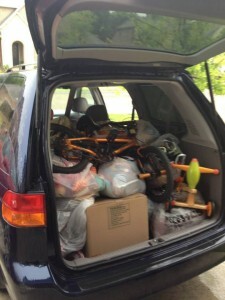 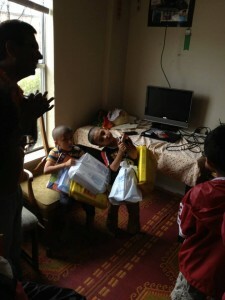 To give the Bhutanese family a feeling of home away from home, GOD members had carried along with them loads of toys, clothes and school supplies. 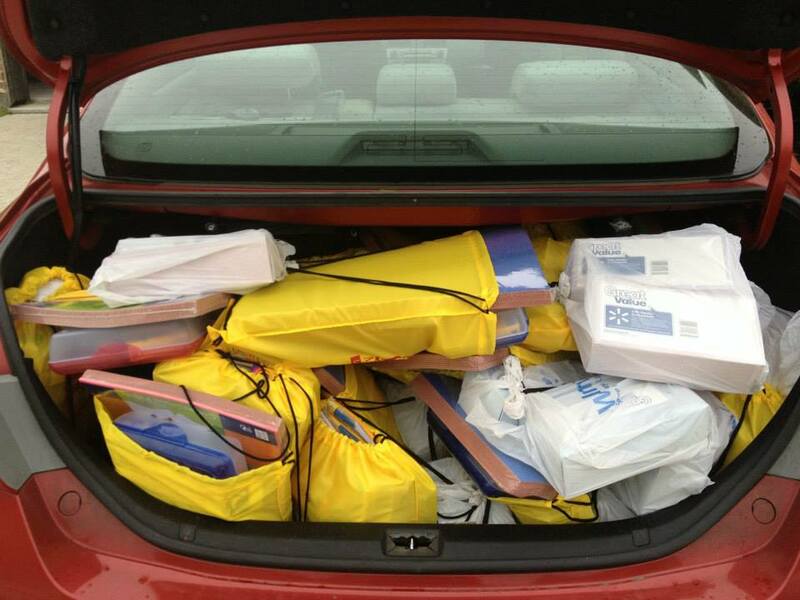 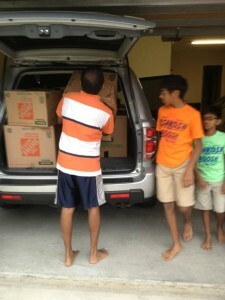 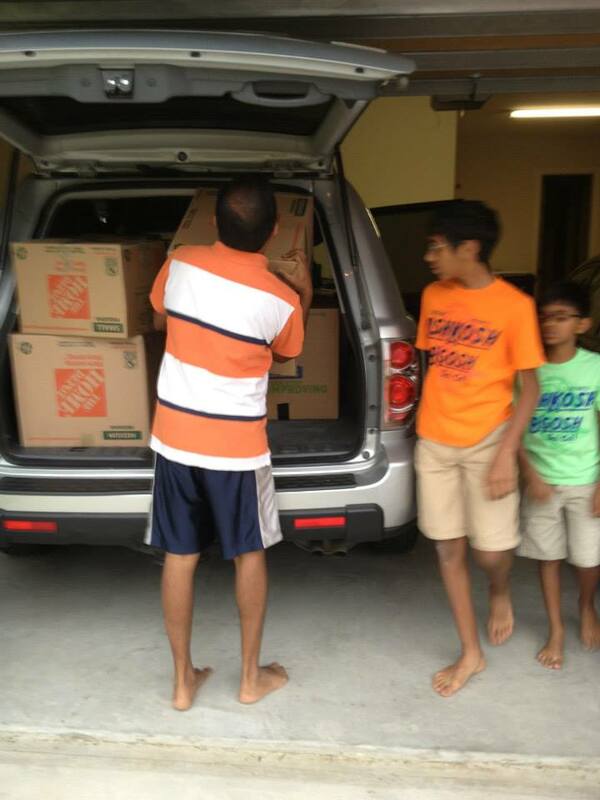 Majority of the items were sponsored by Fort Montessori Academy, Sri Meyyappan and family. 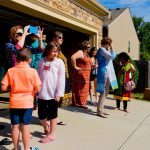 GOD members visited around 25 homes who welcomed them with warmth and gratitude. 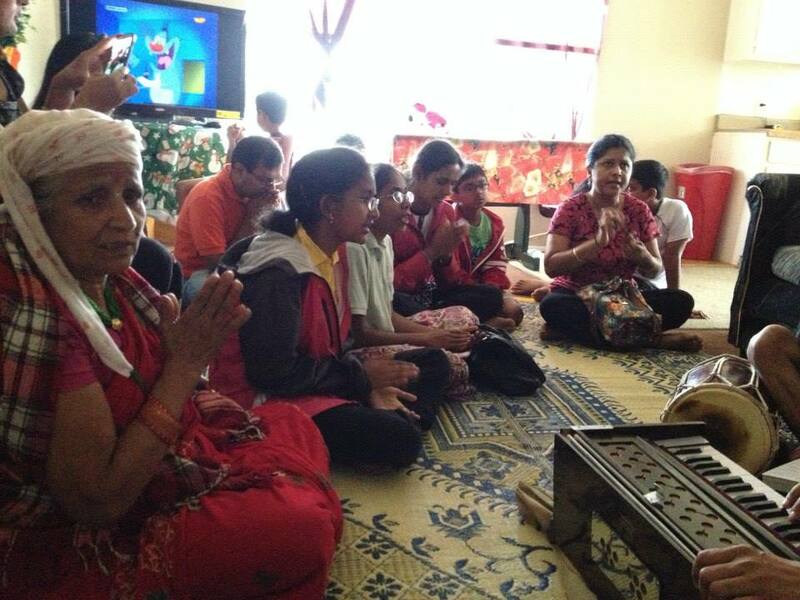 The chanting of the Mahamantra was performed at every home with repetition by the Bhutanese family members. 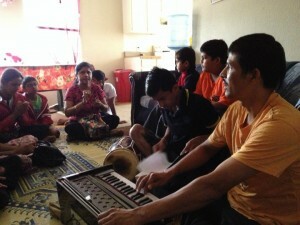 At one of the homes, to everyone’s surprise, an extended Mahamantra Sankirtan session accompanied by Dholki and cymbals. 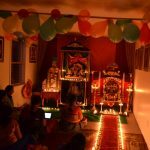 With hearts of gratitude both for the giver and the receiver, Dallas GOD experienced yet again the depth of the words of Sri Swamiji “Heart of Love”. 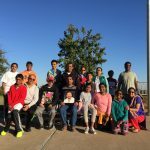 Dallas GOD Chapter offered their prayers at the Holy Feet of Sri Swamiji to bless their heart to beat forever in love, gratitude and service.